Entrepreneur and Managing Director of Citipeak Events, travelled to Bath last weekend with his business partners for a weekend of networking and business development. The businessman took advantage of the Spa town to incorporate some downtime into his trip. The goal of this trip to Bath was to take a bit of time out, network as a group and have some fun! Nick Johnson is a successful businessman who dedicates much of his time consulting with other business owners, providing them with mentoring and development to help them reach their business goals. Last weekend, the Managing Director took his business partners for a small get-away to the historic spa town of Bath for some networking, business development and much-needed downtime. As a designated UNESCO World Heritage site, Bath is the only place in the UK where visitors can bathe in natural hot spa water and visit a 2000-year-old Roman Bath, plus its architecture, restaurants and attractions make it the perfect location for a short get-away. On the Saturday, Nick Johnson arranged for everyone to go to the Thermae Bath Spa; with an open-air rooftop pool, a multi-sensory Wellness Suite and over 40 spa treatments and packages, it made the perfect location for the group to refresh their senses and relax. Business ownership and entrepreneurship is highly rewarding, but also hard work. It takes time, dedication, and daily motivation to be successful in the business world, which is why this trip was a great opportunity to take advantage of the spa, and the relaxation time that came with it. The connected nature of the business world has increased the importance of downtime and the impact that it can have on creativity, productivity, and mental well-being. ‘The goal of this trip to Bath was to take a bit of time out, network as a group and have some fun!' said businessman, Nick Johnson. ‘Of course, there was some business talk, but we also dedicated time to re-charging the batteries and focussing on some mental and physical well-being. I'm hoping that the downtime during the trip will have invigorated the group for the run-up to Christmas over the next few weeks' added Nick Johnson. 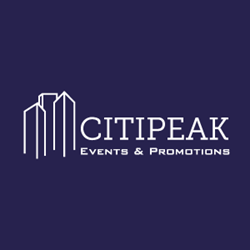 Nick Johnson's firm, Citipeak Events is an event marketing company that adds a personalised touch to the marketing world. The company organise and manage private hire events sites to communicate in-person with customers and promote and sell their client's brand, products, and services.